Use low or no phosphorus fertilizers and do not overuse or misapply fertilizers onto sidewalks and paved areas. When it rains, any misapplied fertilizers sitting on sidewalks or other paved areas will get washed into drainage ways and make their way, untreated, into our waterways. Healthy lawns require fewer chemicals, hold the soil in place, and withstand drought. 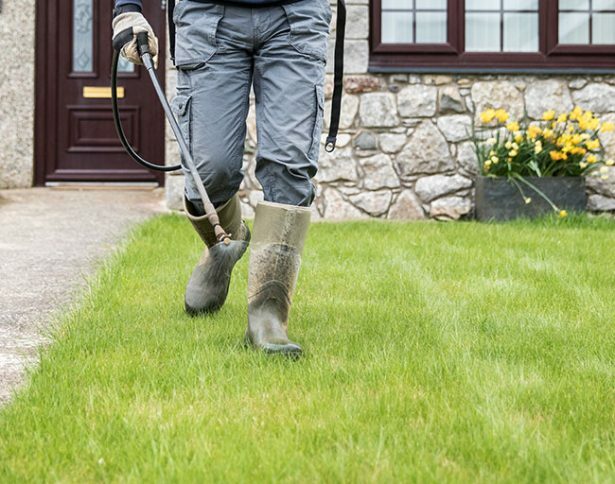 This link provides the top things you can do to keep your lawn happy and healthy. Identify natural solutions for a healthy lawn. This website helps consumers manage home and garden pests in a sustainable, environmental manner.